It’s common knowledge that summer is the best time to live in, and visit, the city of Chicago; but, how do you narrow down the dining and drinking options with so many differing opinions? We decided to skip the noise and go right to the source, six wine professionals who eat, sleep and breathe the Chicago dining scene. Below are their recommendations for where to drink wine, have a beer (or cocktail) and where to eat when the weather gets nice in Chicago. Let us know our favorite spots in the comments below! “90 miles Cuban Cafe. It’s down the street from me and BYO. They have a giant patio, good eats, and there’s rarely a wait; plus, there’s live jazz on Wednesdays. Pro-tip: Grab Mosse’s Magic of Juju Chenin Blanc from Red & White for a perfect plantain paring. Ryan began his restaurant career as a member of the opening team for Lettuce Entertain You’s restaurant Osteria Via Stato in Chicago in 2004. 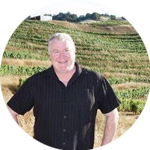 In 2006 he began his foray into the importing world when he accepted a position with local Italian wine importer Vin Divino and quickly became their Regional Manager. He next joined Winebow, a large New York-based import company, and in 2010 was charged with opening their Chicago branch. 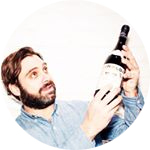 Ryan returned to the hospitality industry two years later when he rejoined the Lettuce Entertain You team as Divisional Wine Director. In his current role, Ryan develops various wine programs for restaurants including RPM Italian, Paris Club Bistro & Bar and HUB 51. He also works with Corporate Purchasing to streamline, improve and individualize the wine lists company-wide. Rachel Speckan is the National Wine Director at City Winery. After many years immersed in the industry of all things boozy, Rachel is thoroughly dedicated to being the ultimate wine geek, with a good dose of sales savvy and super polished service and etiquette. She has traveled extensively, collecting vineyard rocks, eating local specialties, and drinking wine around the world in all the places. 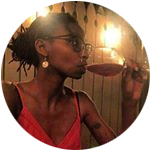 With a special place in her heart for edgy California winemakers, dusty Italian reds, lush and stony Savennieres, and funky American microbrews, Rachel brings a dynamic, delicious, and well-balanced professional approach. Rachel is incessantly drinking wine, talking about drinking, encouraging others to drink, teaching about drinking, writing about drinking and eating adventures, drinking, tasting, researching, and talking about drinking. 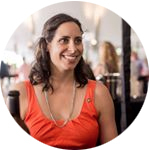 She is deeply entrenched in research and training in the Court of Master Sommeliers, as well as holding an Advanced Certificate from the WSET, and is also involved with the Cicerone Certification Program. He began his career as a line cook at Jackie Shen’s Red Light Restaurant and, after three years in the kitchen, he transitioned to service and began bussing tables at Everest under the supervision of Dave Johnston, Chef Thierry Tritsch and Chef Jean Joho. In October 2011, after over a year at Everest, Charles followed Dave to The Bristol, where he joined the team as Assistant Manager. 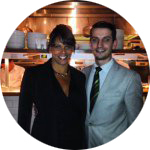 His commitment to excellent service was a natural fit at The Bristol, where hospitality to both guests and employees are of utmost importance. While continuing to find his niche in the hospitality industry, Charles became a Certified Sommelier with Court of Master Sommeliers. He is currently the General Manager and Wine Director, fulfilling his passion for creating memorable experiences for guests through both great service and exceptional wine. 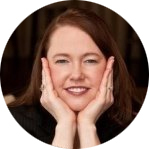 Diana Hawkins is a Certified Sommelier through the Court of Master Sommeliers. She grew up in Columbus, OH and went to college for engineering in Southern California. She quickly realized that studying math and science was best tempered with a teacup full of Sherry or a glass of Cabernet. After this discovery, she was off visiting nearby wine regions, such as Paso Robles & Santa Barbara, when time allowed (and even when it didn’t). Once college was over, she moved back to Chicago to work in the corporate world, but never stopped learning about wine. After a poignant trip to the Columbia Valley, she quickly realized that corporate America was not her calling. She promptly quit and went to work in a wine shop in Wicker Park. Her mother thought she was crazy and would be back in a cubicle by the end of the month. But, she loved it and hasn’t looked back since. Diana has worked as a sommelier at City Winery, The Promontory and now runs the beverage program at Lula Cafe. While financing her education at DePaul University, Elizabeth Mendez began to wait tables at some of Chicago’s most well-known restaurants, the passion of the food and wine bug hit, and Elizabeth never looked back. Gaining a reputation for her unwavering commitment to hospitality throughout the restaurant business, Elizabeth worked her way up through the ranks of the Chicago restaurant world from a server to Wine Director and now owner of her own restaurant, in Chicago’s red-hot West Loop neighborhood, Vera. On most days, you can find Elizabeth working the floor at Vera chatting with guests about her many passions between food, wine, photography and music.